Although I have fairly extensive experience cooking with smoke, having run a commercial smoke-house for several years, fully 99.9% of said experience is with smoking seafood...particularly salmon. Lately, however, my very pregnant and former competative barbequing wife (member of C.H.O.P. / The Re-Up Cart for Vancouver area BBQers) has been having hankerings for smoked ribs, brisket, chicken, and all the good stuff I hadn't really played with. Of course, the simple solution would be to bring my meat into work with me - but that wouldn't be much fun. 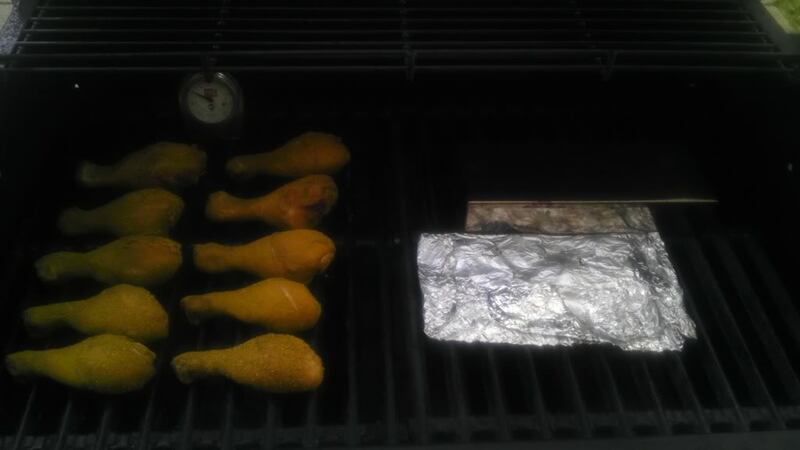 So, over the past couple of weeks, I've been playing around with smoking on my (wait for it) Walmart special propane grill-top, with limited success. Of course, both my professional interest has been piqued, as well as the realization that I really do enjoy eating my creations...and to the internet I turn for to better my procedure. Other than barbeque, I enjoy spending as much time as I can out of doors camping, hunting, fishing, hiking, etc. ; preferably with my young son in tow. When the weather turns inclement, I can often be found huddled over a good novel in my den, wreathes of smoke ascending from my pipe. Of course, no matter the weather, I can oft be found playing in the kitchen, creating all sorts of strange and wonderous victuals (not always in a good way!). As I mentioned earlier, I worked in the food-industry for several years running a smoke-house on Vancouver Island before completing my MBA. Currently, I partner in a Business and Immigration Consulting firm and dedicate my time on the side to writing tobacco evaluations for PipesMagazine.com. 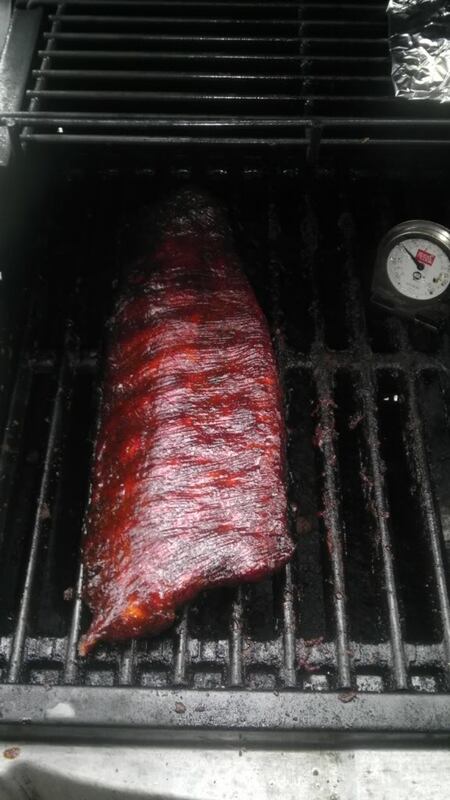 Of course, no thread is worth-while without pictures, so here are my first couple of attempts at low and slow. Welcome to the jungle! You should fit in great around here. We have a pitmaster like yourself in Puff and a lawyer in Griff. He be just a tad north of you! Welcome Schmitzbitz, we do like pictures, so like Nick said you will fit in just fine. Looks like some good eats there. Has your wife had you go out in the middle of the night for ice cream and pickles yet? LOL. Welcome to the forums. Schmitz. Welcome to the forum. Welcome to the forum. You live in beautiful place. Welcome to the forum, Looks like some good eates, have a good time on here great bunch of people. Oh ya don't forget to send taste samples to me, I'm the official, unofficial taste tester. looks great. and Welcome. we have no problem helping you in exchange for smoked salmon.